standard with the slightest possible error, amounting, perhaps, to one-twentieth of a micron; in some cases a little less. 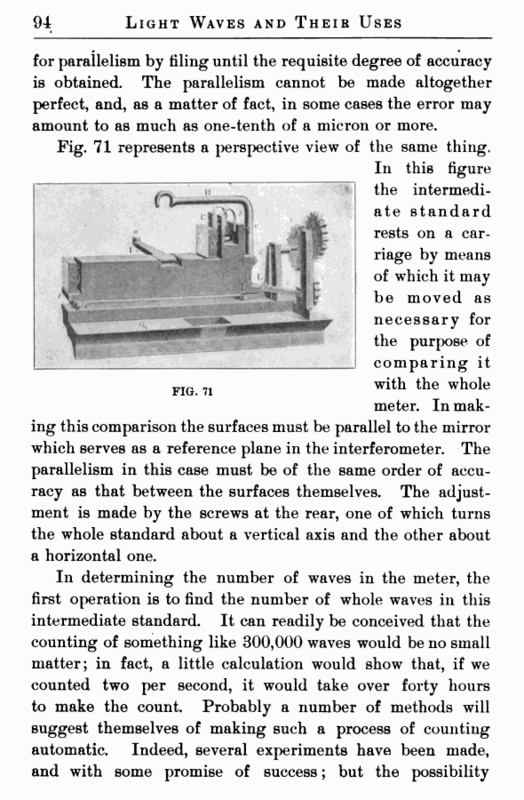 If two plane surfaces be parallel to one another and a given distance apart, then, with the interferometer, we may locate the position of either one of these surfaces by means of the interference fringes in white light to within one-twentieth of a fringe, which means one-fortieth of a wave, or one-eightieth of a micron. It has been found most convenient to use glass surfaces very carefully polished and made as nearly plane as possible, and silvered on the front. The two surfaces are mounted on a brass casting, and carefully adjusted so as to be as nearly parallel as possible, so that it does not matter what part of the surface is used. 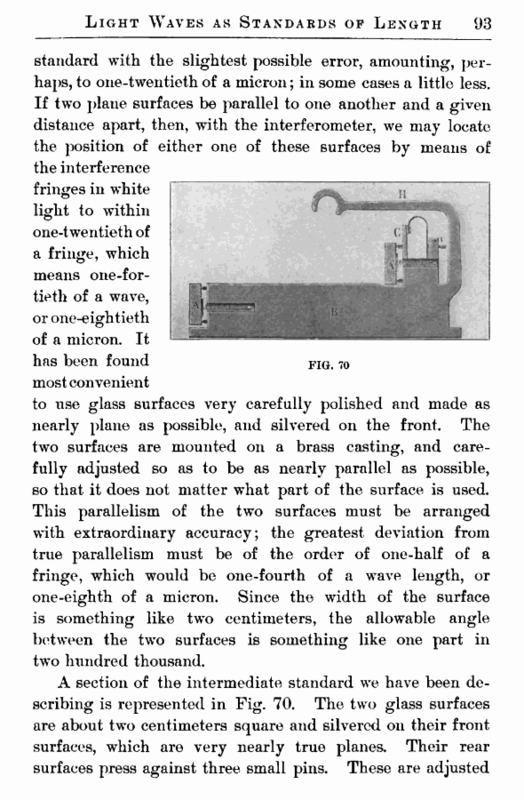 This parallelism of the two surfaces must be arranged with extraordinary accuracy; the greatest deviation from true parallelism must be of the order of one-half of a fringe, which would be one-fourth of a wave length, or one-eighth of a micron. Since the width of the surface is something like two centimeters, the allowable angle between the two surfaces is something like one part in two hundred thousand.